Paul Tivnan - Ardmore Shipping | Ardmore Shipping Corporation is engaged in the ownership and operation of product and chemical tankers in worldwide trade. Paul Tivnan is our Senior Vice President, Chief Financial Officer, Secretary and Treasurer of Ardmore. 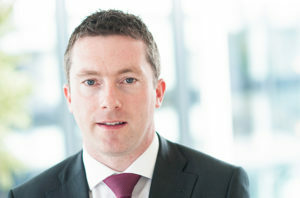 Mr. Tivnan joined Ardmore in June 2010 and was appointed Chief Financial Officer in December 2012. From 2002 to 2010, he was employed at Ernst & Young in the Financial Services Advisory department specializing in international tax and corporate structuring. He was a participant in Ernst & Young’s Accelerated Leadership Program from 2008 to 2010. Mr. Tivnan holds a BA in Accounting and Finance and an MBS in Accounting each from Dublin City University. He is a graduate of the London Business School Executive Leadership program, a Fellow of the Institute of Chartered Accountants of Ireland, an Associate of the Irish Taxation Institute and a member of the Institute of Chartered Shipbrokers.